The webinar aims to support the implementation of the National Back and Radicular Pain Pathway. It will initially explain the pathway and present data from early implementers to help make the case for change in your local area. The physiotherapist who led the implementation of the NBRPP across Cheshire and Merseyside as part of the Walton Centre Vanguard Project will talk about her experiences, common barriers to implementation and strategies to overcome them. Who should attend: All professionals involved in the commissioning and delivery of spinal care. The Service is a single-point of access for rheumatology, pain, physiotherapy, orthopaedics and musculoskeletal services in the NHS within Telford. The service is a prime vendor type model with Shropshire Community Trust holding the main contract and sub-contracting to other NHS and Private providers in the locality. The speaker is GP Dr Louise Warburton and medical lead for Telford MSK service, which sees a wide variety of patients with MSK and rheumatology problems. She has wide experience in a variety of roles related to MSK services including GP champion for Keele University working in Primary Care MSK research and dissemination. Who should attend? Commissioners, first contact practitioners, GPs, hospital consultants, physiotherapists, patients and patient organisations and charities. 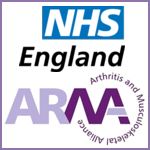 The webinar is provided by ARMA and NHS England. Previous registrants do not need to register again. 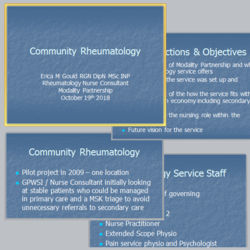 Presented by Erica Gould, Nurse Consultant at Community Rheumatology Service Modality Partnership, the webinar outlines how a community-based rheumatology service can provide effective management of rheumatology patients, with benefits both to the patients and the usage of clinical resources. Findings from the pilot study demonstrated that patients requiring disease-modifying anti-rheumatic drugs (DMARDS) can easily be managed in a community setting. A community setting with provision of the specialist skills provides patients with local, more convenient care and reduced disengagement. It also optimised the use of local resources – for example, moving some of the routine follow-up activity for rheumatology patients (such as drug monitoring) would undercut the tariff by 30%. Visit the ARMA Webinars page to watch the presentation and discussion. 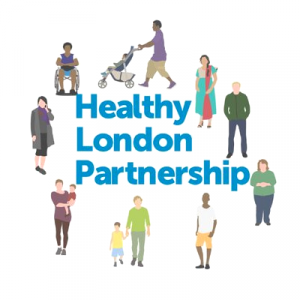 As you are hopefully already aware, a clinically-led programme called London Choosing Wisely is underway to develop pan-London policies for eight treatment areas, to ensure patients across London have consistent access to treatment that improves their health, based on the latest available evidence. Full details about the programme, including a list of Frequently Asked Questions, are available online via: healthylondon.org/london-choosing-wisely. The London Choosing Wisely programme expert groups for knee arthroscopy, varicose vein procedures, and cataract surgery have now prepared a draft pan-London policy in their treatment areas. Built into the programme is a ‘sense checking’ and feedback phase. Please note that this is not a consultation but an additional phase of the programme particularly seeking comments on how easy each draft policy is to follow and the clarity of the language used. London Choosing Wisely is advisory and the statutory duty for approval of London-wide policies rests with each CCG governing body who will have the opportunity to further review, engage and consult in line with local governance processes, before making a decision on implementation. The sense checking phase of the programme for all three draft policies will remain open until 9am Monday, 10 September 2018. Comments will be fed into the relevant expert groups, so that members – made up of primary and secondary care clinicians, public health experts, and patient representatives – can take on board feedback before finalising the draft policy. Once agreed at Task and Finish Group level, each draft pan-London policy will be presented to the London Choosing Wisely Steering Group for approval of the review process and to ratify the policy. The aim of the programme is to reduce variation of care for patients across London by providing doctors with the latest evidence on what treatments should be offered to patients to achieve the best health outcome whilst also seeking to ensure that patients do not receive unnecessary treatment or intervention that will have little impact on their condition. The draft policies developed will be clear, easy to follow and use, and encourage conversations between patients and clinicians about the most clinically effective treatment available. The programme will ensure a more standardised implementation of best practice and equal access to treatment that is consistent, clinically appropriate and based on robust evidence – all with a sharp focus on improved patient outcomes. The London Choosing Wisely programme itself is advisory and the statutory duty for approval of London-wide policies rests with each CCG governing body who will have the opportunity to consult and debate the draft policies further, before making a decision. CCGs will further engage and / or consult locally, prior to implementation, as required. “No health without MSK health”. Those were the words of our guest speaker at the ARMA AGM and they clearly struck a chord with members. They were on my mind last week when I attended a consultation meeting held by NHS England about the new ten-year plan for the NHS. At the moment MSK health doesn’t get as much profile as conditions such as mental health, cancer or cardiovascular. Not to downplay the importance of these conditions, but MSK health underpins all aspects of our ability to be independent and lead the active lives we want. We all know the cost to the NHS, to individuals and families, and to the economy is enormous. The pain and limited mobility of MSK conditions also has a knock-on impact on other aspects of health – difficulty opening medication or food packaging; difficulty getting on the bus to shop for healthy food or attend appointments; difficulty carrying out all the self-care and self-management activities that enable us to manage other health conditions. Arthritis Research UK reports that by age 65 years, almost 5 out of 10 people with heart, lung or mental health problem also have a musculoskeletal condition. If you are struggling at home with your arthritis and you need to go into hospital for any reason, you are likely to need more support to return home as a result. So why does MSK not get a higher profile? The answer is: at a local level it does. The majority of CCGs have MSK as a priority for service improvement locally. And at a national level NHS England has a plethora of relevant programmes and activity, it’s just they don’t all sit under the banner of a single MSK programme. By contrast, Public Health England has a new MSK programme which will be working on MSK initiatives and ensuring that MSK is embedded in other PHE work. Wouldn’t it be great to see this all recognised with a profile in the ten-year plan? So as the NHS consults on the plan they will hear one message from ARMA members loud and clear: No health without MSK health. Time is running out to become a Champion of Musculoskeletal Care. The deadline for this unique opportunity is 17 June 2018. 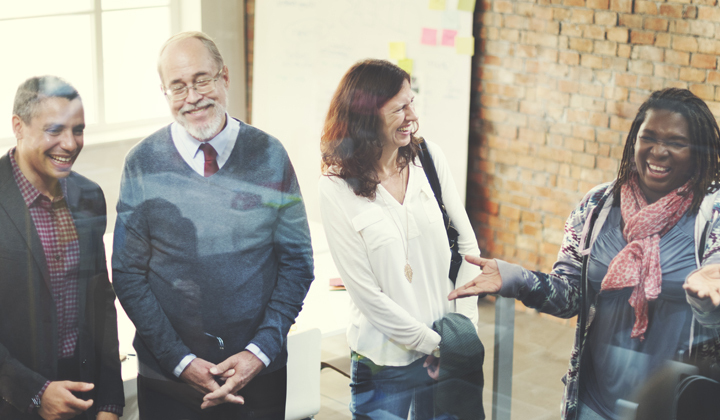 Arthritis Research UK, together with Ashridge Executive Education, have created a bespoke leadership initiative with the aim of driving forward tangible improvements in MSK services within the local health systems of each Champion. We are looking for individuals who are involved in the design, commissioning and/or delivery of musculoskeletal care, including front-line clinicians, public health practitioners, commissioners and service managers. Arthritis Research UK are committed to representing the communities within the system that we aim to affect, and so the cohorts of champions will be multidisciplinary and diverse and instead of hierarchical position, we will focus on the potential to lead, adapt to change and deliver impact. The deadline for applications is 17 June 2018. The interviews will take place between 16 – 23 July, and the programme starts in October 2018. To find out more, please visit the MSK Champion page. 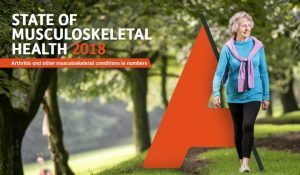 The State of Musculoskeletal Health 2018 is a resource for health professionals, policy makers, public health leads and anyone interested in musculoskeletal health. We believe that with the best information you can build awareness, make more informed decisions, feel more confident and ultimately help more people with musculoskeletal conditions. 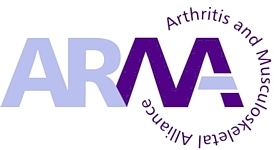 The resource was put together by Arthritis Research UK. Using the best available data on prevalence, risk factors and comorbidities, the report lays out the key factors affecting musculoskeletal health, the economic benefits of musculoskeletal research, and describes the scale and impact of the problem. You can read more details on the report from the arthritisresearchuk.org website and download the full set of statistics (PDF 2.9 MB). 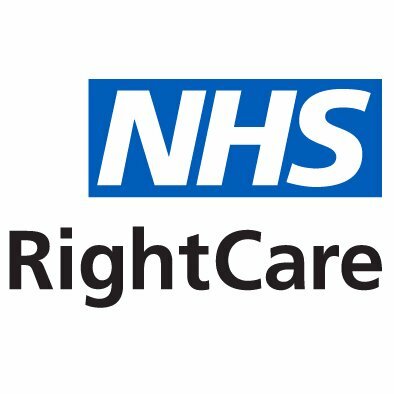 Health Education England, together with South, Central and West Commissioning Support Unit, has developed an easy-to-use tool to support clinicians, managers and commissioners in their efforts to forecast and monitor the impacts of MSK self-referral to first contact practitioners (FCP). It is called the MSK First Point of Contact Model. You can find and download the model from ARMA’s Network Resources page.